An exploration of the concept of utopia in Latin America from the earliest accounts of the New World to current cultural production, the carefully selected essays in this volume represent the latest research on the topic by some of the most important Latin Americanists working in North American academia today. With an interdisciplinary approach, chapters discuss the notion of a utopian impulse in literature, music, performance, cinema, visual arts, critical theory, cultural studies, and political science. 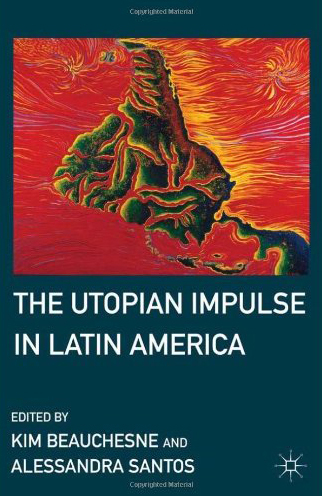 Among the many questions the book grapples with are how the utopian impulse is reconfigured over time, especially in new cultural fields and situations, and how Latin American utopias should be contextualized in the so-called global era. Beauchesne, Kim, Alessandra Santos (eds.). 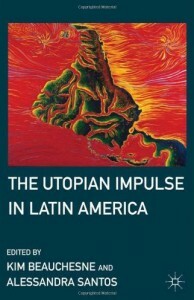 The Utopian Impulse in Latin America. Palgrave, 2011.